If you are looking to buy property in Torre del Mar, Costa del Sol, Spain then you will almost certainly need to find a list of Torre del Mar real estate agents. Examples of properties for sale in Torre del Mar and surrounding area are at the bottom of this page. Torre del Mar is a small coastal resort situated 28 km east of Malaga within the area of Axarquia. The town of Torre del Mar is small and is surrounded by farmland, mostly sugar cane. 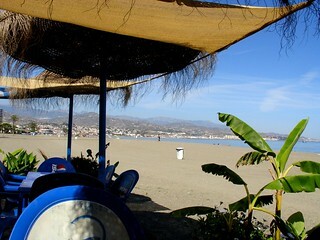 Of course the main tourist attraction of Torre del Mar is the wide sandy beaches and the promenade. Estate agents located in Torre del Mar will also be able to help you find property in towns, villages, urbanisations and developments close to the Torre del Mar area. These include: La Mata, Baviera Golf, Ribera de Tamayor, Camarillas, Las Casillas, Los Toscanos, Monte Azul, El Capitan, Almayate Bajo, Piedra, Torre del Jaral, La Capellania, La Sirena, Lomas del Sol, El Molino, Benajarafe, Panorama and Hacienda Conde. Estate agents in Torre del Mar operate differently as opposed to countries such as the United Kingdom. In the United Kingdom you have to trawl from one estate agent to the next and each has their own unique properties for sale. This is very time consuming. Torre del Mar estate agents and inmobiliaria have their own unique properties for sale but they can also show you other properties on sale from other Torre del Mar estate agents. If you want to know all about what it is like living in Torre del Mar and the current property market, then you must read our in-depth interview with Andreas Hansen of Hansen Real Estate on our main Torre del Mar page. Andreas, what would you say would be the advantages to living in Torre del Mar compared to other Costa del Sol towns? Torre del Mar is a great middle point in many ways. Firstly it is part of a larger community (Velez-Malaga) and has advantages of being a city in terms of availability of utilities and goods, while not being as busy as Málaga for example. On the other hand it has a very interesting level of tourists; as they are mixed between foreign and national. It is not as overwhelming here as it can be in for example Nerja, Benalmadena or Fuengirola. Prices have been steadily increasing since 2011, but are still not quite where they are supposed to be, in a year or maybe two the market will be back to normal again. It is still a market advantageous to buyers. Inversiones Casa y Terreno S.L. open the whole day from 9.00 h – 20.00h. wide marketing sistema working with other agents abroad. Casa y Terreno situated in Torre del Mar, has been established nearly 9 years. Dirk and his team run a very customer friendly office. They are dedicated to see that your purchase is officially completed to your satisfaction. The team speak spanish, english, german and danish. For complete peace of mind and professional guidance in purchasing in Spain throughout all the legal and nutria paperwork – you will have no question unanswered – . Properties from € 60.000,- to € 8.500.000,- will give you the opportunity to choose your dream house concerning your budget and your desire. If you want to buy a property in Torre del Mar – the two estate agents will split the commission so the property you want to buy won’t cost you anything more. Estate agents in Torre del Mar will view a property and give a guideline at which price to market the property however ultimately the owners decide at which price to sell the property for and some unrealistically overprice their houses. Estate agents in Torre del Mar charge different commissions, expect typically to pay between 3% and 5%. If you are looking to sell your property in Torre del Mar then we recommend going for an estate agent with an office in a busy location. A Torre del Mar estate agent with an office demonstrates a degree of credibility and ensures they will have passing traffic. They will naturally also have an Internet presence also. Many estate agents in Torre del Mar will also have houses and apartments for rent in Torre del Mar. Do consider a long term let or rental in Torre del Mar or rent a villa or apartment in Torre del Mar as a way to get to know the area first. Most Torre del Mar estate agents should also be able to help you with these services: finding apartments for sale or rent, villas and houses for sale or rent, townhouses for sale or rent, selling your property, letting your property, information on the local area such as amenities, facilities and schools, new build properties and resales, cheap bargain properties including repossessions and distressed sales, property maintenance, valuations, luxury properties, property finding services and arranging mortgage financing, Some agents will also handle commercial property such as shops to let or lease, bars and restaurants for sale and land for sale. Estate Agents in Torre del Mar – Page Summary – This page contains unique content about estate agents (known in Spain as inmobiliaria) in Torre del Mar as well as a directory of known estate agents in order to help people looking to let or buy property in the Torre del Mar area.